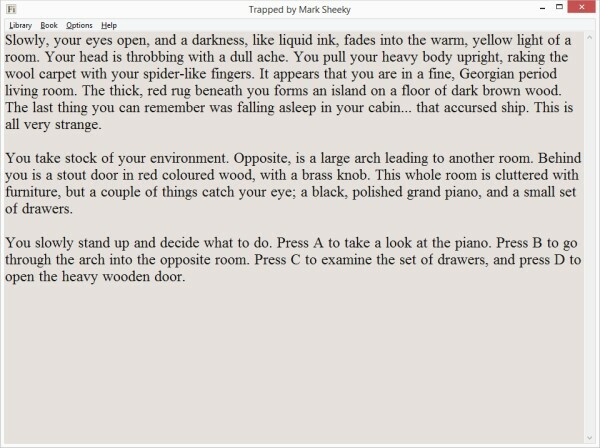 Fictive is a creator for text based "choose your own adventure games". It uses a simple script language to write stories that give the reader choices that lead to different pages. The system includes variables and enough number processing to add "luck" elements, combat systems and other elements, that you might find in the old Fighting Fantasy books. It has not been published.